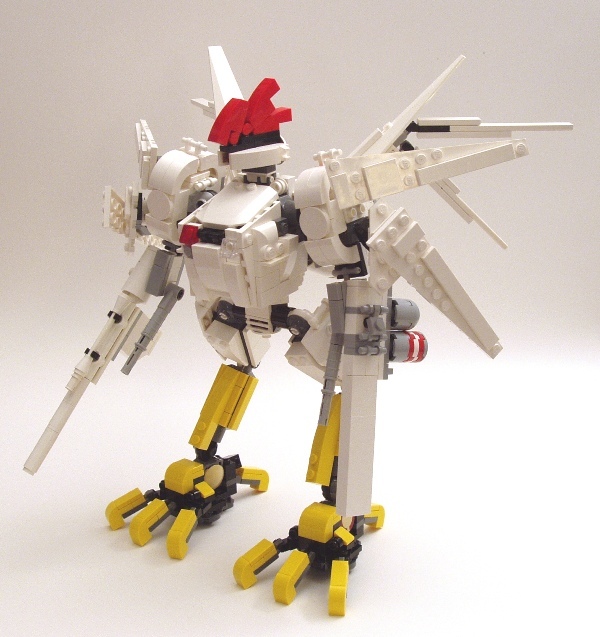 Peter Morris was inspired by the Alice in Chains song “Rooster” to build this rather unique mecha. The torso fits a pilot, and this bad boy is fully posable. Does that make him the Man In The Box? This would be either the most hilarious or the most terrifying mecha to encounter on a battlefield. Reminds me of Adrian’s Turkey Mech! Great work! That is one awesome chicken.